Watch LIVE events and breaking news on our all-new streaming video page. 2008 Auto Show Welcome: "Welcome to AmericaJR.com's Coverage of the 2008 North American International Auto Show. We will broadcast LIVE from Cobo Center in Downtown Detroit fore Press Week and Industry Preview Days. We'll have reviews, interviews, pictures and videos, all from AmericaJR.com, Detroit's #1 Website with the Best Coverage... Period. Our 2008 NAIAS Coverage is being sponsored by The Omni Detroit Hotel at River Place, Detroit's Only 4-star hotel on the Riverfront, The Dow Event Center in Saginaw, featuring "The Shrine Circus" from January 17th through the 20th and by RazorGator.com. We're proud to be the ONLY webiste in the world with FREE Tickets to the auto show. Register Now for your chance to win. Click here to listen. Hoedown 25 Welcome #2: Click here to listen. Gary Allan Welcome: "Hey there, this is Gary Allan. I hope you find out what you're looking for. Check our my great hits album while you're here." Hoedown 25 Welcome #1: Click here to listen. 2007 NAIAS Welcome: "Welcome to AmericaJR.com's Coverage of the 2007 North American International Auto Show at Cobo Center in downtown Detroit. 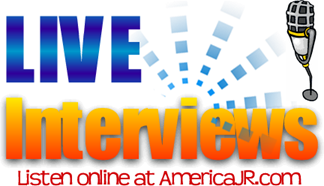 AmericaJR.com will Broadcast LIVE from Press Week and Industry Preview Days. We will bring you interviews, reviews and the BEST pictures around. Our coverage is sponsored locally by The Detroit Science Center and nationally by STAPLES and The Universal Music Group. It's all from AmericaJR.com, Detroit's #1 Website with the BEST Coverage. Period." Click here to listen. Dr. Phil Welcome: "Hey, Dr. Phil here and welcome to AmericaJR.com, Detroit's #1 Website...with the BEST Coverage. Period." Click here to listen.